More than 700 historical artifacts from the Walt Disney Company hit the auction block at Van Eaton Galleries in Sherman Oaks recently, and bidders went wild. 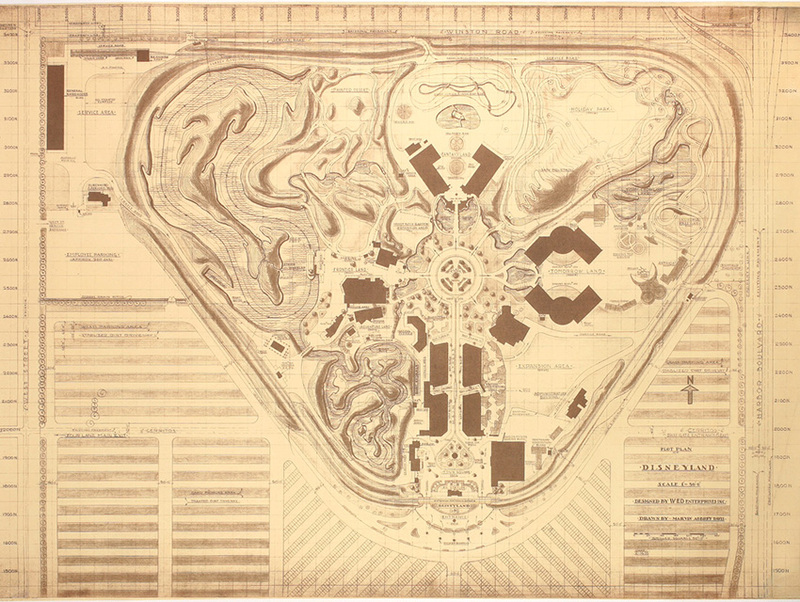 The offerings ranged from a bound storyboard for an uncompleted film, to Annette Funicello’s Mickey Mouse Club ears, to a collection of old railroad drawings that didn’t sell on eBay, but killed at this auction. The ears, Annette’s Mouseketeer sweater, and a number of pieces from the late actress’s personal collection were sold to benefit the Annette Funicello Research Fund for Neurological Diseases. A few bargains went for the price of a ticket to Disneyland, but ten of them fetched enough to buy a new car. Here’s your reminder to stop at every yard sale and keep your eyes peeled. Are there any hidden Mickeys in granny’s attic? 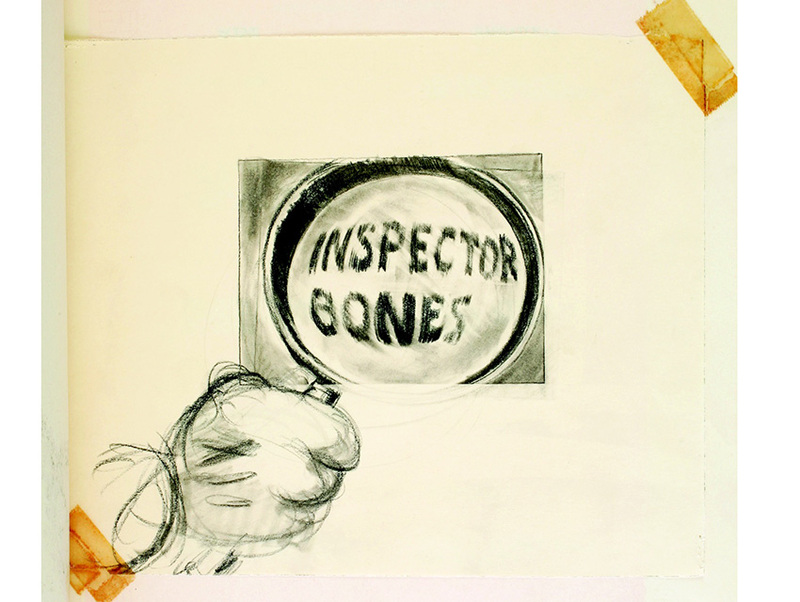 When Walt was a teenager serving in France during World War I, he befriended a pub owner named Alice Howell. 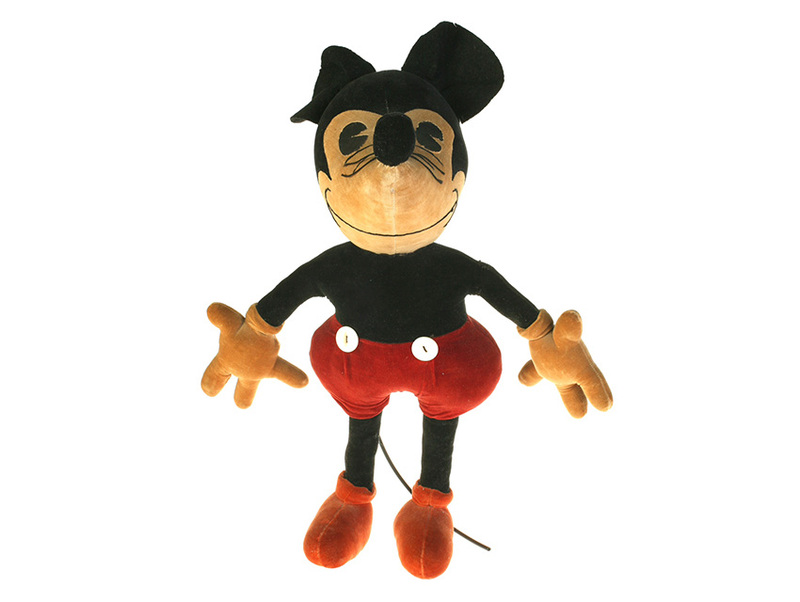 In 1932 she paid a visit to the studio and left with this stuffed Mickey with a personal greeting from Walt under the shoes. 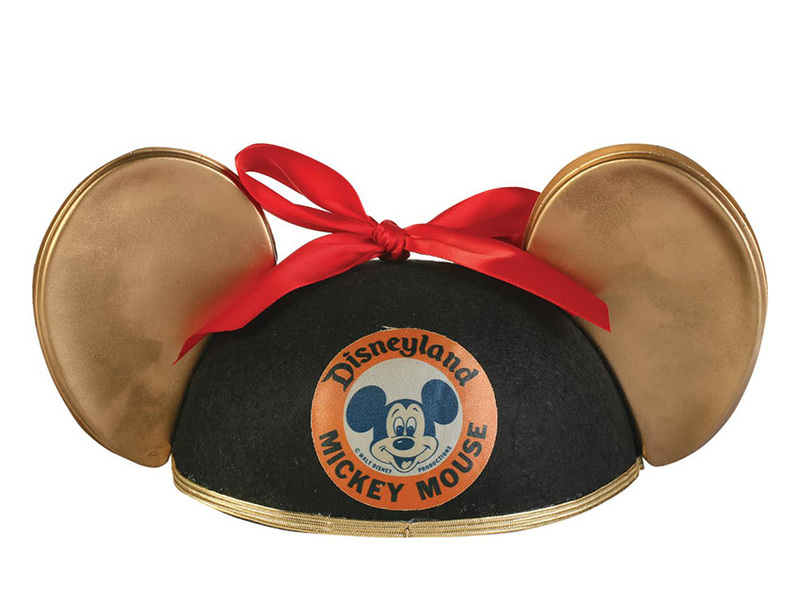 Annette Funicello’s personal pair of Mickey Mouse ears painted “bronze” and displayed in a case in her living room for many years. 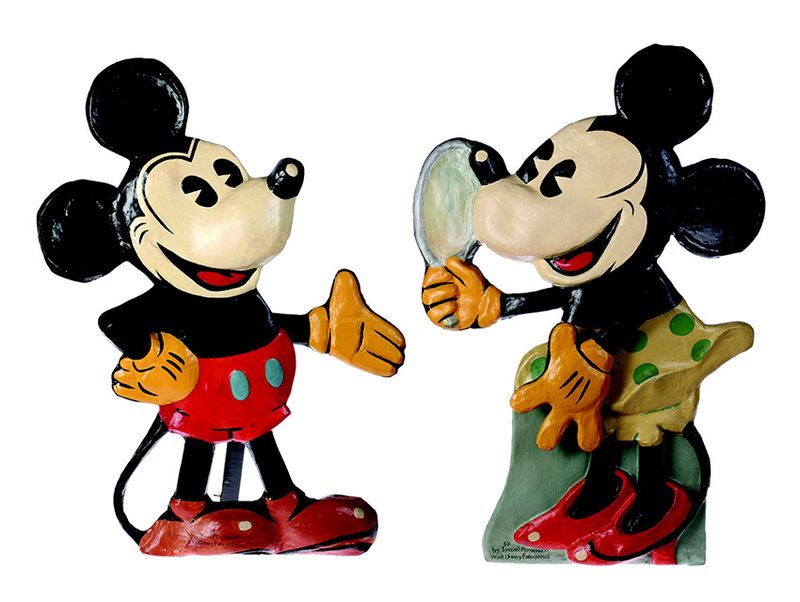 These Papier-mâché figures are over three feet tall and animated by an electric motor hidden inside. They were used in department stores to lure shoppers into the toy section. 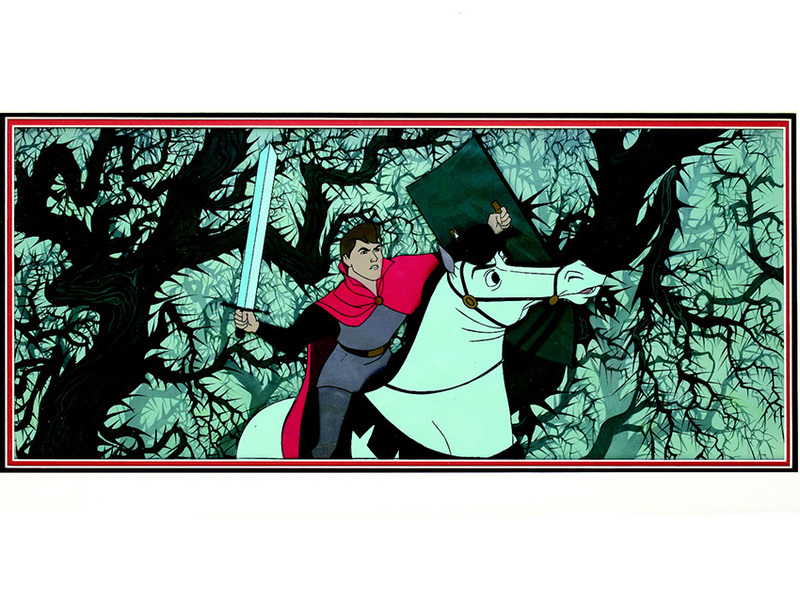 This original cel of Prince Phillip on his way to the castle was used in the 1959 film. 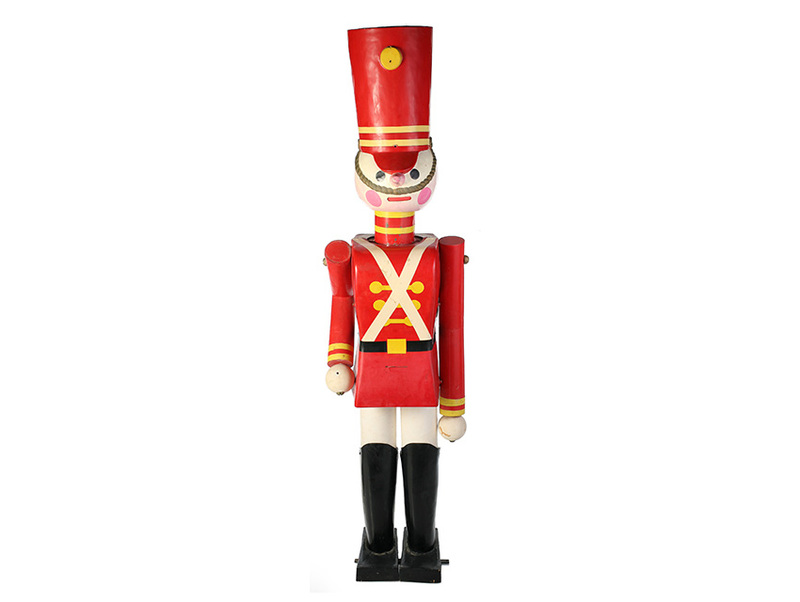 A nearly 8-foot-tall prop toy soldier from the 1961 film starring Annette Funicello. Signed program from the premiere of Snow White at the Carthay Circle Theater in 1937. 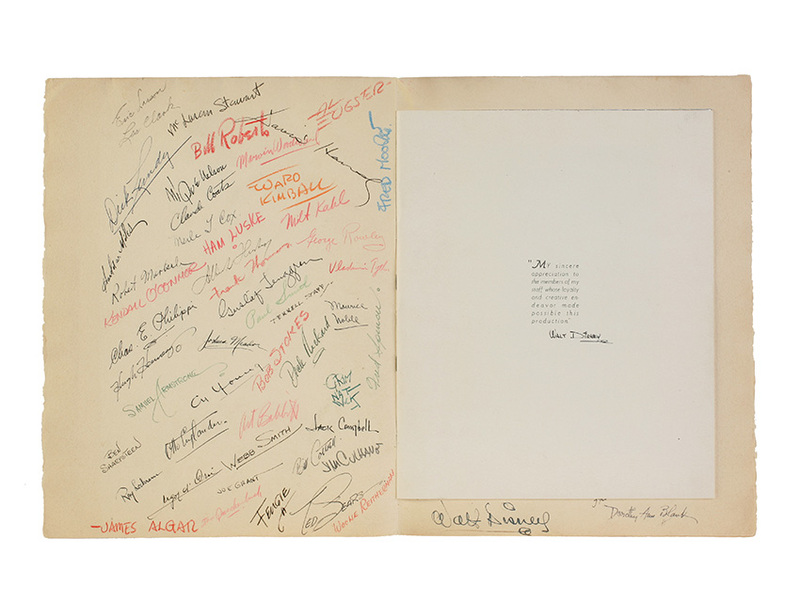 The jumbo souvenir is signed by Walt Disney and 54 other artists that created the world’s first animated feature film. 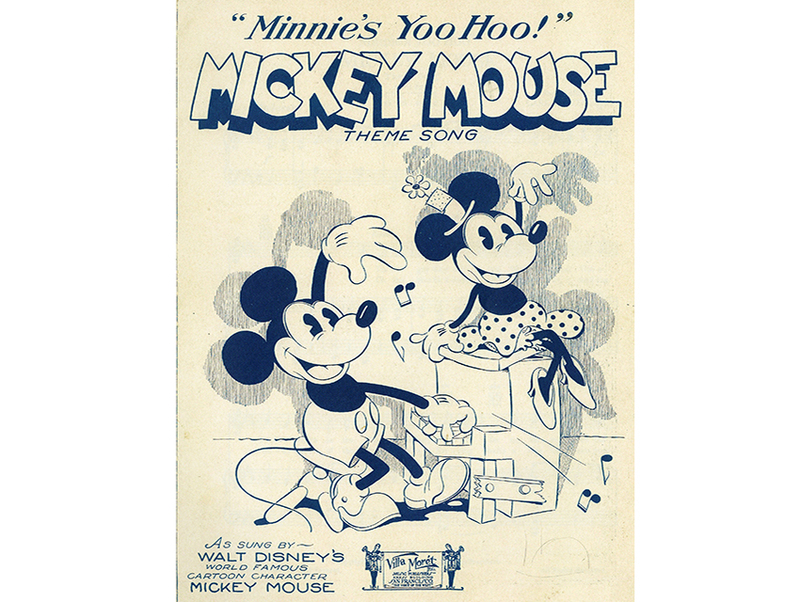 The first original song ever written for a Disney cartoon was Carl Stalling’s Minnie’s Yoo-Hoo. Young Stalling met Walt in Kansas City and followed him out to Hollywood. This is his hand-written score and a copy of the sheet music. 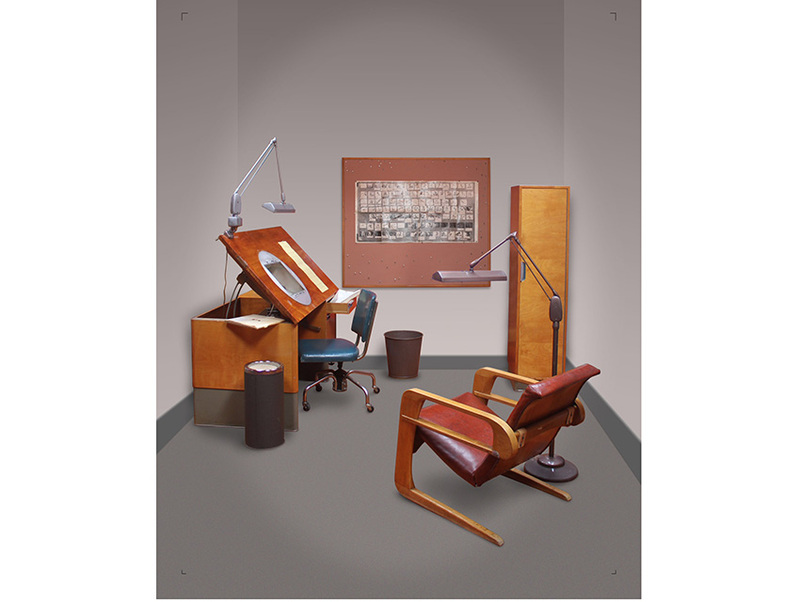 An original suite of animator’s office furniture including animator’s desk, armoire, floor lamp, and “Airline chair” designed by studio architect Kem Weber.